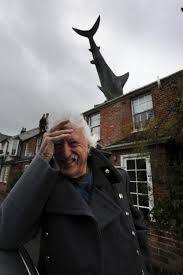 Journalist and broadcaster who was so bold as to have an enormous (fiberglass) shark stuck through his roof. The Headington Shark has been preserved and declared a national treasure. Good job, Bill! Via the Guardian.